Relishing multi cuisine dishes in a multi cuisine restaurant is exciting and cooking them at home is even more exciting. 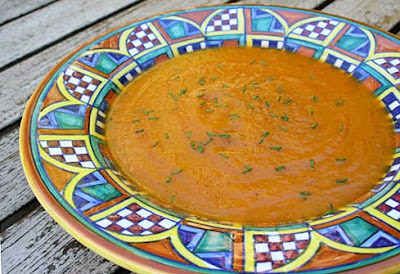 Try preparing Italian Creamy Squash Soup Recipe and feel Italian in the comfort of your home. This easy Italian soup recipe can be made with ease at home for self as well as for the guests on occasions. · First of all cut the squash in half and remove the seeds. · Then, cook the squash in the oven at 350 degree F or in microwave until it is fork tender. · Then, cool it to room temperature and heat the chicken broth in a saucepan and then add chili. Cook on low heat for sometime. · Now, cut the onion and garlic in small dice and sauté in butter until soft. · Then, scoop out the pulp from the squash and keep it in a food processor with onions and garlic along with chicken broth. Blend to make a smooth puree and then add additional broth. Those who like spicy food can cut chili in half and blend it together with the mixture. · Pour the squash in a saucepan and warm it.